How does one create a clock with timeless design, one of the world’s most secure data systems in a size small enough to fit in your pocket? 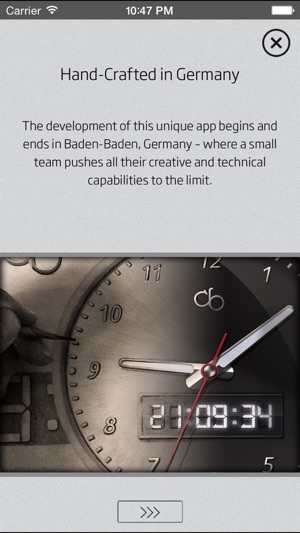 The development of this unique app begins and ends at cb innovations in Baden-Baden, Germany – where a small dedicated team pushes all their creative and technical capabilities to the absolute limit. 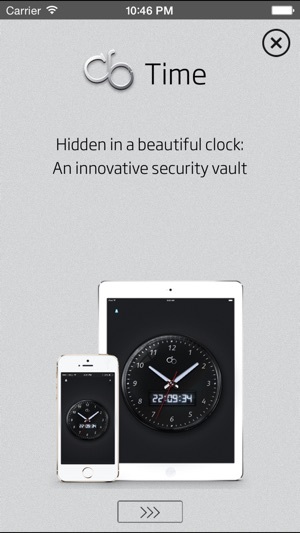 This app can not only be used as a simple watch with alarm function, but also as a high-security safe for all your personal data. 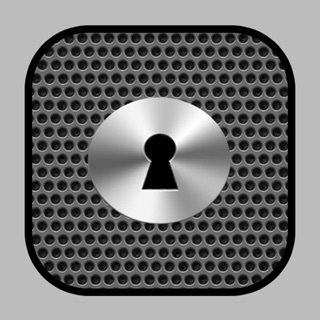 This security measure is an integral part of the Apps design. By opening the watches glass and pressing the center, you can input an access code by using the individual hands. Once input, the code can be confirmed by pressing the center one more time. 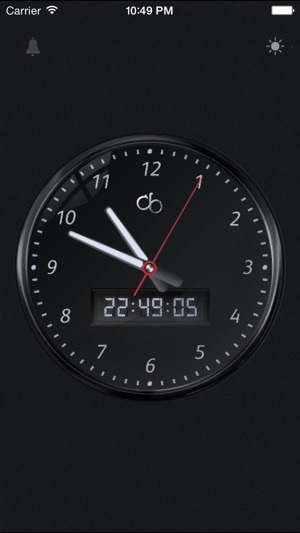 cb Time is not only easy to use, but also one of the most secure apps on the market. 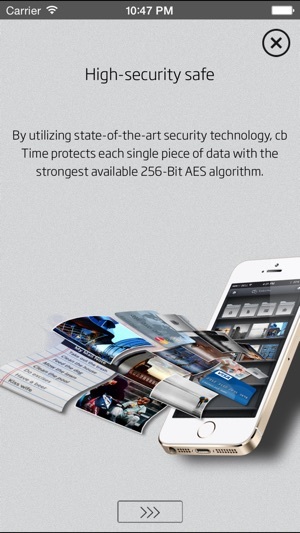 By utilizing state-of-the-art security technology, cb Time protects each single piece of data with the strongest available 256-Bit AES algorithm. The AES-256 Bit encryption is one of the worlds best data encryption systems, and is being used to secure industrial and military-- documents under the highest level of secrecy. By request, cb Time can be set to panic mode, which means that all data will be erased after five unsuccessful code entries. This way, you won’t ever have to worry about losing your phone again. What could be greater to wake up to than the fascinating melodies of a famous pianist? 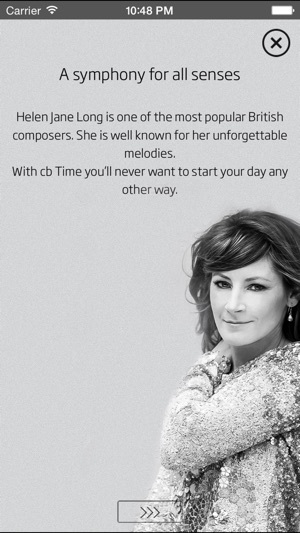 Helen Jane Long is one of the most popular and versatile British composers. She is well known for her unforgettable scores and melodies, as heard in the “Lord of the Rings“ trilogy. So far, Helen is the only female composer who has been inducted in the classical FM-Hall of Fame. Now, several of her unique melodies helps cb Time to achieve an incomparable "wake-up experience," and emphasize the app’s harmonic sensuality. You’ll never want to start your day any other way. All pre-defined folders for notes, voice recordings or templates are used to organize personal data. The template folder is the perfect place to safely store your confidential data such as user information or credit card details; even more important documents can be placed in a protected folder, which can be secured with an additional password. The theft folder automatically saves a photo made with your smartphone’s front camera, should anyone but yourself try to access your data. By the way, cb Time is available for Apple™ devices of the iPhone™, iPad™ and iPod™ touch family, including AirPlay™ support. That way, you can easily transfer presentations, music or videos to compatible TVs or audio systems wirelessly by using Apple™ TV. Documents from your data safe can easily be printed on any device using AirPrint™. Safety is one of our biggest concerns, which is why all our IT, processes and quality controls are located in Germany, where we can guarantee the highest safety standards. This way, “Security Made in Germany” can truly be seen as a seal of quality. cb Time encrypts your entire data safety deposit as a single protected container file using the 256-Bit AES system. This encryption will only be carried out on your device. Our products will never have any backdoors, master passwords or modified encryption systems. Users better memorize your password. It is a very solid App to save your files. No doubt. However, it will be a chaos if you don't remember your numbers to log in this app. You may say I can ask CB time support team for help. It won't work. 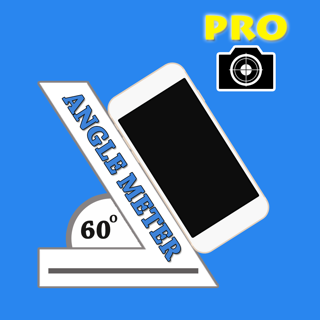 This app already 100% safe for your files. No one will be able to recover your password. I did try to write an email to its official website for recovering my password. However, I have not received any response from its support team. In Sum up, users make sure to memorize your password well and don't rely on logging this app by Touch ID because you will forget your password. Generally a great app but if you hold the app icon so that it wiggles like when you are going to delete or move it, files that you have starred in your Dropbox app are displayed without logging into either! It should have no relationship with files in my Dropbox so it makes me wonder what else this app may be doing behind the scenes.